CTLA-4 (Cytotoxic T-lymphocyte-associated protein 4, CD152) protein. CTLA4 blocking antibodies are used in cancer therapy (immune checkpoint blockade therapy). 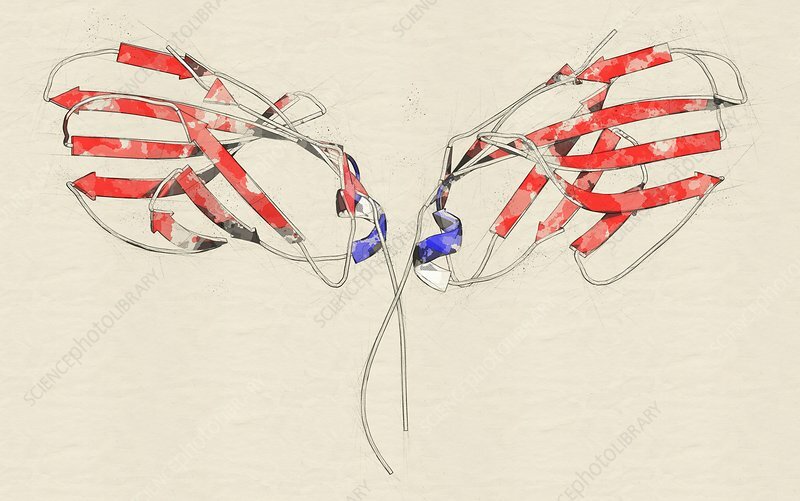 Stylized cartoon model, secondary structure colouring (helices blue, sheets red).